ADTRAN’s NetVanta series is designed to offer a complete range of enterprise-grade networking equipment with a focus on reducing your total cost of ownership while maintaining peak reliability. Networks are deploying NetVanta gear as they expand, undergo VoIP migration or look to enhance network security. Worldwide Supply offers a complete stock of new and used ADTRAN NetVanta gear. Our customers have seen simple deployment, easy configuration and clear improvements, especially when working on small and mid-sized enterprise deployments. NetVanta 600 Series — VoIP media gateways that specialize in operating between TDM and IP networks to support legacy telephony. NetVanta 800 Series — Carrier Ethernet NTUs that deliver 1, 10 and 100Mbps services over your existing copper. NetVanta 1100 Series — Extended and redundant power supply units for the line’s Gigabit switches. NetVanta 1200 Series — 24- and 48-port Layer 3 Fast Ethernet switches for VoIP operations. 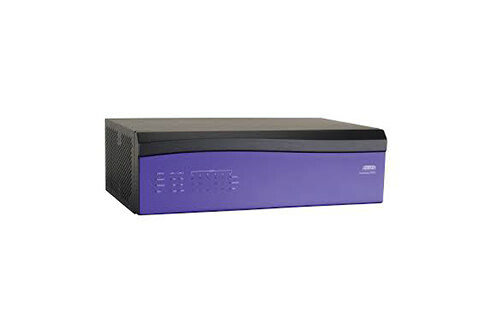 NetVanta 1300 Series — 24-port Ethernet enhanced multi-service routers. NetVanta 1500 Series — 12, 24, and 28-port managed, multi-layer, Gigabit Ethernet switches designed for heavy bandwidth users. NetVanta 1600 Series — 48-port, Layer 3, Gigabit switches perfect for campus networks. NetVanta 3000 Series — Full-feature routers designed for secure access and high-speed enterprise systems. NetVanta 4000 and 5000 Series — Routers using modular architecture to offer a variety of interface slots and two Ethernet LAN ports, supporting up to eight T1 lines. NetVanta 6000 Series — IP business gateways that can manage VoIP on hosted or trunking services. NetVanta 6400 Series — eSBC tools that help secure and manage SIP-to-SIP communication between networks and equipment. NetVanta 7000 Series — VoIP solutions designed to manage migration of VoIP services and minimize interoperability concerns. NetVanta 8000 Series — Carrier Ethernet NTUs for 1, 10, 100 and 1000Mbps services, plus support for DS1/E1 over packet optical infrastructure.